In a life where every day is a full-time challenge to survive, Emily has enough on her plate, but when her brother is arrested, her world falls apart. Coming to the rescue is Phil Younger, her brother's court-appointed lawyer. Two emotionally damaged people find in each other a level of attraction they weren't expecting, and whilst a relationship isn't against the rules, it is frowned upon until such time as the case has been completed. With an old enemy breathing over his shoulder, Phil is more than cautious in his wooing of Emily, but inevitably their meetings become public knowledge. The book is well written with a good storyline. I felt that the author was uncomfortable writing the bedroom scenes, as they were at odds with the rest of the story. Nevertheless, it was an enjoyable romance, a standalone, with a happy conclusion. I received a copy of this book through Booksprout and this is my honest and voluntary review. I have loved all the Younger's but Phin has a special place in my heart. I was drawn in from the very first chapter of this book. There was just something about Emily that pulled at me. You can tell from the very first chapter that she is such a strong women who has been dealt so many hard blows. She just wants to succeed but everything seems to be against her.In the next chapter we meet Phin. He is such a sweet guy who is really in my opinion trying to save the world because he could not save his mom. When you put Phin and Emily together it is like taking two broken pieces and making them whole again. I loved everything about this book from the story line right down to all the characters. Getting to visit a bit with all the Younger's from the other books made this book that much more special. I cannot wait to see what this author has in store for Lucy. I received a free copy of this book via Booksprout and am voluntarily leaving a review. 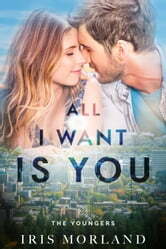 Iris Morland wrote a beautiful romantic story about the struggles of Emily Lassister trying to support her brother Josh on a waitress salary and not her beauty by modelling. Her brother Josh, hangs around the wrong crowd and get then arrested. Phin Younger a genius who is socially awkward is the court appointed lawyer for Josh. He is instantly attracted to Emily and tries to help Emily and Josh. Emily and Phin characters are well developed with insecurities and flaws. Their storyline deals with learning disabilities, bullying and the justice system. 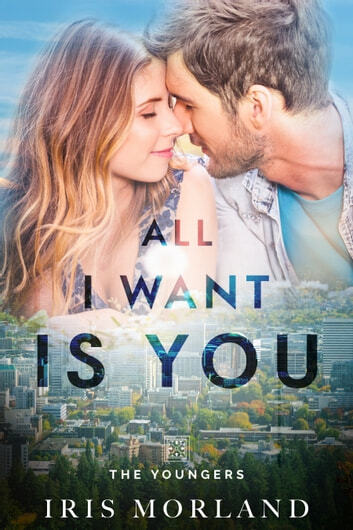 All I Want Is You is a beautiful love story that I highly recommend reading. I received a free copy of this book via Booksprout and am voluntarily leaving a review. The well written storyline pulled me right in from the very first page and the well developed characters made me feel like I was peeking through a window watching as the story unfolded between the characters! I enjoyed this book so much that I ended up reading it in one sitting! Another great booking the series. Loves Emily and Phin! Emily has been through so much in her life and has come so close to breaking so many times but keeps finding a way to continue on and love her little brother so fiercely. Phin is just what she needs. There is so much more to this why, quiet man than he let's on.